Ensuring compatible communication standards between equipment is a challenge for the Industrial Internet of Things (IIoT). Without them, engineers are unable to gain IIoT benefits, such as reduced down times and preventative maintenance. 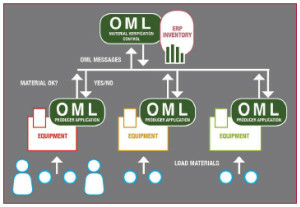 In this nine-page white paper, you will learn how open manufacturing language (OML) can integrate shop-floor data to create IIoT solutions based on a vendor-neutral communication interface for PCB manufacturing. Michael Ford is a marketing and development manager at Mentor Graphics. With his 30 years of experience in the industry, he has become a thought leader in his field. He also has a Bachelor of Science in Electronics. Dan Bailey is a senior software engineer at Mentor Graphics. He has worked there for more than six years and received his education from Cardiff University.